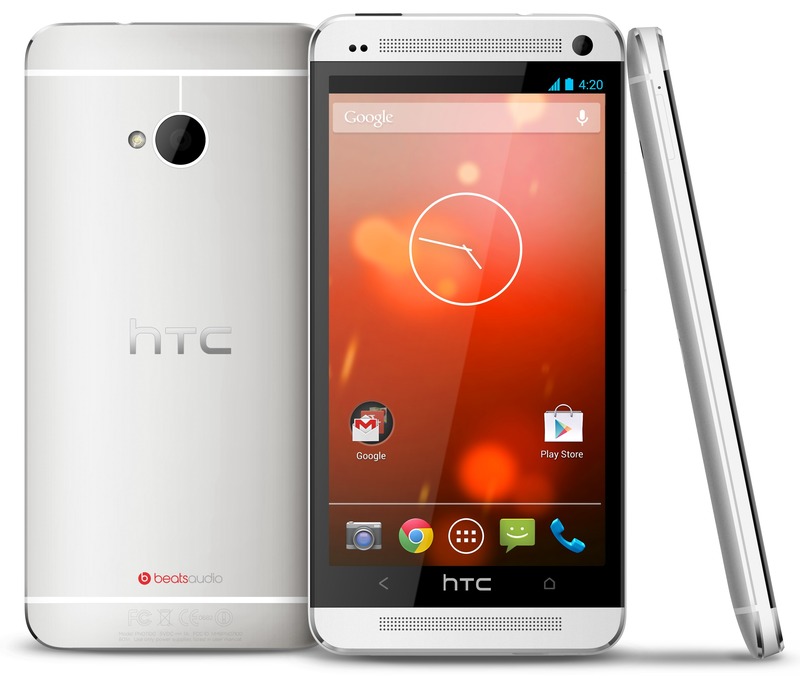 Google unveiled a new version of the HTC One today running the so-called ‘Nexus’ experience, or a stock version of Android without any themes, skins or additional apps developed by the OEM, at the D11 conference in California. Sundar Pichai, Senior Vice President for Android, Chrome and Google Apps at Google, confirmed the new smartphone following the unveiling of a ‘Google Edition’ Samsung Galaxy S4 at the company’s I/O annual developer conference earlier this month. Pichai then proceeded to pull out the new HTC one running the latest version of stock Android, version 4.2.2 (Jelly Bean). He said that it would be available on the Google Play store starting June 26 for $599 as a SIM-free handset. The new device is part of an ongoing strategy, Pichai explained, that will exist alongside the current Nexus program in an effort to allow people to get a more ‘Android’ experience, rather than a carrier or manufacturer customized version. Pichai was careful to note that the Nexus program would likely continue to exist as it’s designed to push hardware first. The unveiling also follows comments by Won Kim, Vice President of LG Mobile in Europe, who said in a recent interview that the company currently has no plans to create another Nexus-branded smartphone. Google’s adamancy that it will continue to create its own Nexus-branded hardware means that the company is either working with another OEM for the long-rumored Nexus 5, or is waiting to see how the Google Edition Galaxy S4 and HTC One fares before it begins producing another device.